The most important thing you can attain from an internship is newfound expertise. This can include sharpening the skill you have already acquired and knowing how to complete tasks that apply to your desired career path. The most valuable skills you can acquire from an internship is the aptitude to speak with individuals from a professional setting. Discussions with coworkers and bosses are different from that with fellow students and lecturers. After your internship, you will have a bright idea of the appropriate way to speak and act professionally. When you are interviewed for a career, this will help you since you will be more confident as you will sound experienced and work professionally. The internship experience is the essential pieces of foundation you can set for a successful career. To help you gain from this experience, here are some of the things you can do to stand out and be the best intern the organization has ever hired. You are on internship, thus don’t be afraid to ask any question, learn as much as possible. A good supervisor will encourage questions and view the interns as individuals who are willing to learn and take the initiative. 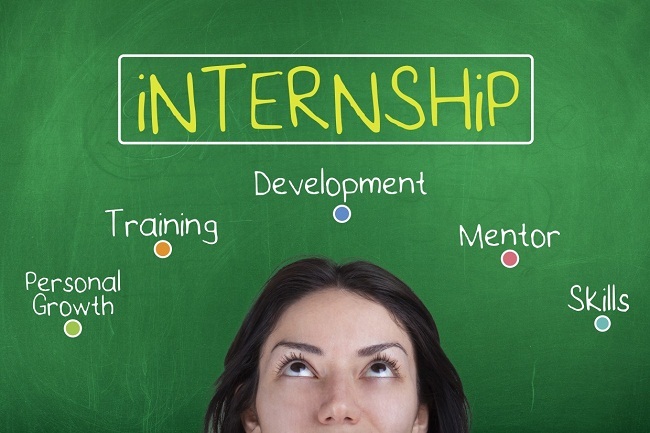 Making the most of your internship means learning from every available opportunity. Asking questions shows your willingness to learn, genuine interest, and motivation in the job. It also shows that you are eager to do whatever it takes to perform your duties. Asking questions creates a platform where you learn your weakness and strengths which is something you can improve before leaving. Always keep in mind that your network is your net worth and this is one aspect that will come in handy when you are looking for a job after you’re done with your studies. Don’t underestimate yourself; ensure you make use of your internship properly as you take all the available opportunities that come with it. Once in a while interacting with people from other departments other than that which you are assigned. 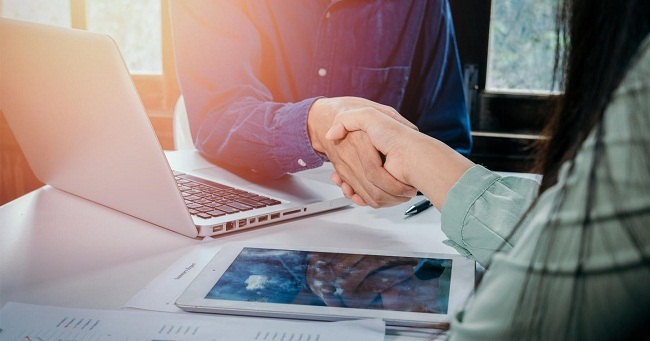 In some instances, your co-workers and supervisors may be fully occupied with projects and deadlines that they hardly notice that you are new in the firm. However, it should be your initiative to ensure that they notify you and your contribution to the company. Exhibit a friendlily and a positive attitude to everyone you meet from the CEO to the janitor. This will not only help you make friends and create memories but also, it will expand your professional network. Remain positive and once you are invited to the meetings, let the people know you. Networking will let you know influential and important people in the company. An intern is a perfect opportunity to meet people you may never have a chance to meet, but as you try to make yourself known, make sure you don’t ruin your reputation through crossing some set boundaries. Learn from the people you admire and cultivate mentoring relationships that can continue even after the internship comes to an end. Many professionals relish sharing their knowledge and have a desire to assist professionals who are new to the field. A good mentor is the one who is willing to see their mentee succeed by sharing their expertise. In some internship settings, they assign you a mentor, but in some other, you will have to find one for yourself. Carefully choose someone you admire and who possess the traits and the skills you desire to develop. Perhaps someone who has the job title you may like to hold one day. Note that, mentoring requires a lot of effort and time, thus, if they choose to decline back out gracefully and maybe consider asking them whether they can recommend another mentor. An internship is a part of learning. And in most cases, students find themselves in a situation where you have to attend the internship and at the same time work on your research, proposal, project, or thesis. This could be overwhelming considering the workload the question that will be lingering in your mind is who will write my thesis for me? As you can’t forego the internship either: When caught up in such a situation, it would be a brilliant decision to seek help from online education platforms that offer such assistance. You will then have time to concentrate on your internship which will increase the chances of making it turn into a full-time job offer. Many organizations will not treat you any different with the actual employees. Always show motivation and enthusiasm. Be easy to work with and accept the assignments without complaining, request for more work once you have completed. Listen to the instructions carefully and ask questions if in need of any clarification. Respect the input of your fellow team members and exercise the art of compromising. Passionate interns tend to have a positive impact on other workers and the organization as a whole. Excellent work relationship requires exceptional communication skills and also a positive attitude. When communicating with fellow work team choose tactful, professional and respectful language all the time. Be sensitive, helpful, polite and friendlily all the time. You may have heard or read various internship advice and adding to the above tips; you will be on the right path. Also, remember that work and college are two different things. When on internship, raise your level of professionalism and commitment. Treat internship like your first job by making a killer impression as you position yourself as a full-time employee. Remember that your work will have an impact on the organization. Since you are learning in a dynamic real-world environment, each of your contributions will affect other people. Have confidence in yourself and your abilities. You might make some mistakes during the internship, which is okay since errors are part of the learning process. The primary thing that is required of you is to accept responsibility once things don’t move as planned. Take ownership and articulate possible solutions since it will result in a quicker resolution that will prevent havoc among your teammates. An internship is an excellent opportunity to reinvent yourself and take risks. The skills you acquire will inevitably assist you in future jobs, therefore don’t hold back. This is the right time to figure out whether you can pursue the career you are in for a long-term. Always learn to ask for feedback during your stay at the company. Challenge yourself by doing new things you have never done before. Utilize your bosses and co-workers so that you can develop more skills since such skills will enhance your professional portfolio by making you more preferable to the future employers.